The contrast in body language between Kamala Harris and Jeff Sessions during Sessions' testimony earlier this week was profound. Note the image above and immediately below - which are both representative of the Senator's and the Attorney General's nonverbal behavior during much of their exchange. Senator Harris' upper arms, elbows, and forearms are held away from her torso at a modest angle. This indicates a level of high confidence. In contrast, Attorney General Sessions' upper arms, elbows, and forearms are all held close to his torso - in a protective mode, indicative of low confidence. Senator Harris' hands are loose and not touching each other - also projecting a confident and alpha emotional tone. Attorney General Sessions' left hand is touching and covering his right hand. This self-touching of his hands (Manipulator, Adaptor, Pacifier aka MAP) - as well as their close proximity to his chest, further demonstrates a lower confidence, beta mindset. Another significant signal is the relative angle of their torsos - Harris' is leaning forward with her back away from her chair - toward Sessions, while Sessions is leaning at a considerable angle - away from Harris. This screams of Sessions' defense and Harris' assertiveness. If we were endeavoring to prepare a witness for a testimony, deposition, or any type of legal proceeding - we would never advise him to conduct himself as Attorney General is behaving here. His body language is fearful - making him look as if he has something to hide. Later in the video, Senator Harris gestures with her right hand - and while she refrains from pointing with a finger - she does so modestly point with her pen. 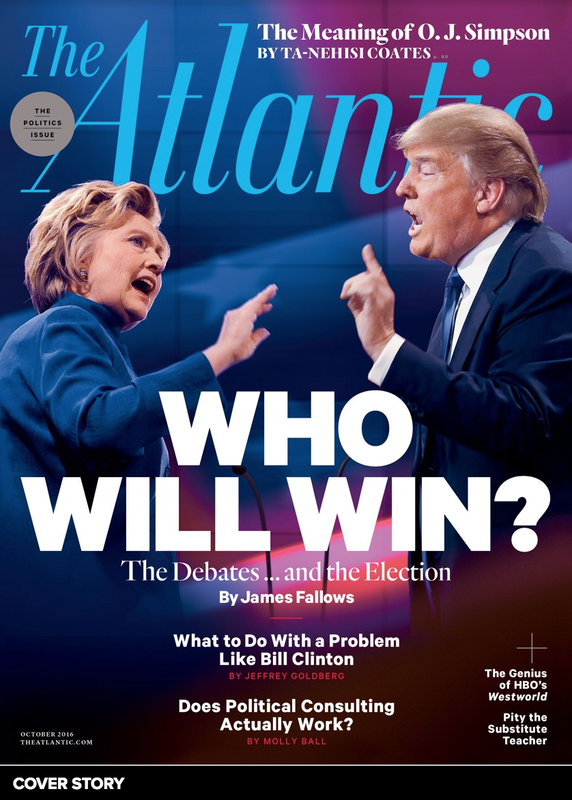 This is perhaps, one of the few times when such "surrogate pointing"/"pen-pointing" is advisable. It up-regulates her alpha-tone and it's intimidating to the Attorney General. And while it should not be performed too often (for it can backfire), pointing with a pen or pencil is not as not as harsh as pointing with one's finger (and highly discouraged). 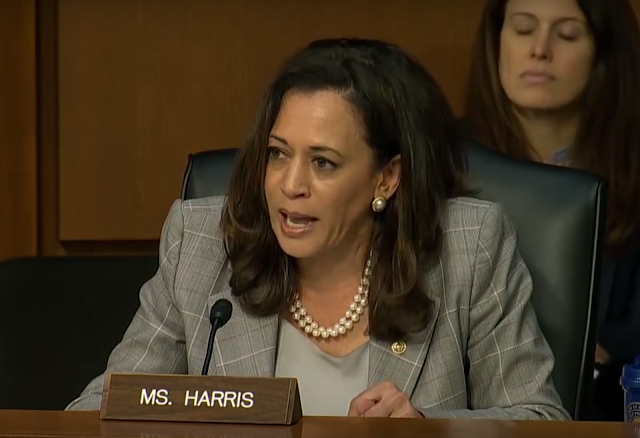 Now flashback to 4:16 - Senator Harris asks, "Before, before being sworn in as Attorney General, how did you c-, typically communicate with then candidate or President-Elect Trump?" 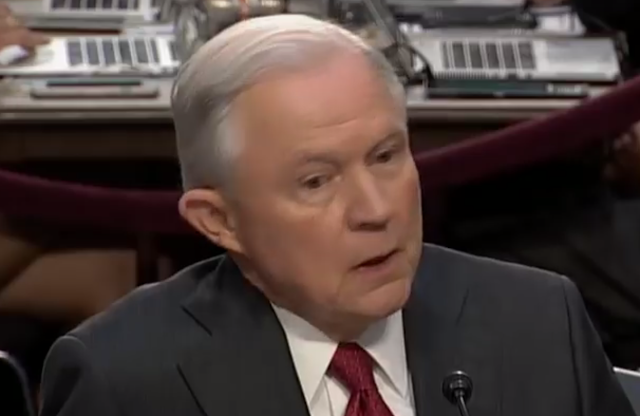 SESSIONS: "Ah, would you repeat that?" HARRIS: "Before you were sworn in as Attorney General, how did you typically communicate with then candidate or then President-Elect Trump?" HARRIS: [over-talking] "Did you communicate in writing?" SESSIONS: "I did not submit memoranda. Ah, I did not, ahhh, make formal presentations." HARRIS: "Did you ever communicate with him in writing?" 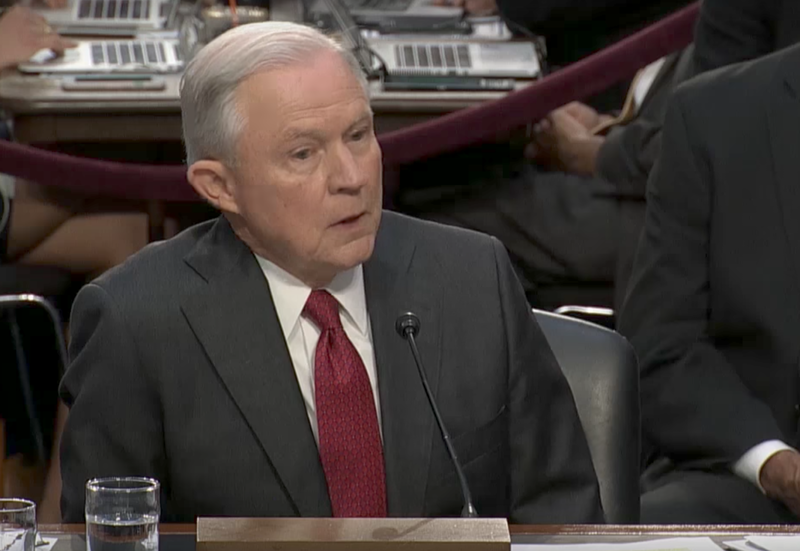 SESSIONS: "I don't believe so." 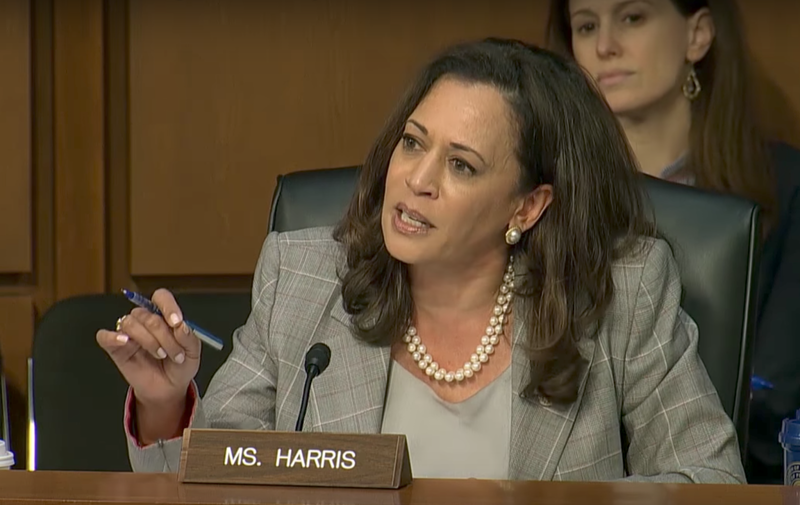 When Senator Harris was repeating her question, the Attorney General's hands moved beneath the table. He looked down to his right just before, and once again while he says, "Ummm"
Asking for a question to be repeated may, of course, simply be a hearing issue. However, it's also a very common stalling technique used to give a person a few seconds extra to formulate a response - rather than recall what occurred. 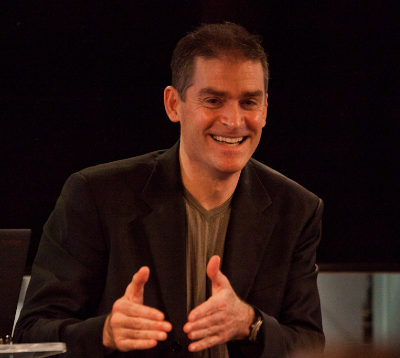 The sudden dynamic of moving one's hands out of sight (whether beneath a table or in pockets) is a particularly telling gesture in the context of a testimony. This illustrator screams of low confidence and alone makes deception in this moment much more likely. The lower right quadrant - where Sessions glances - is the direction most often looked toward while lying. 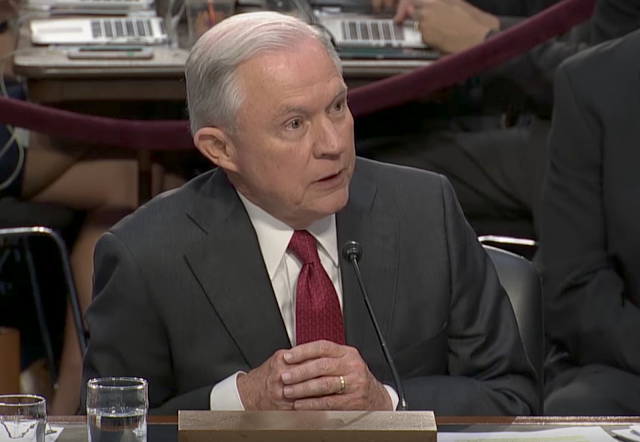 Summary: Attorney General Sessions body language behavior during his questioning by Senator Harris was highly correlative with low confidence. She was displaying alpha characteristics while he was considerably beta. In addition, there is a high likelihood Jeff Sessions was being deceptive and that he did correspond with Donald Trump in writing prior to Sessions being sworn in as Attorney General.